This year we at Zarjaz have gone all out to bring you as much holiday content as we can. Initially we presented ‘Santy claws is comin’ ta town’ by Lee Robson & Bolt-01, available now as part of the Zarjaz Daily. the full strip by Richmond Clements, Dave Broughton & Bolt-01- as serialised over on the 2000 AD advent calender. Judge Dredd- The Mean Green Machine. 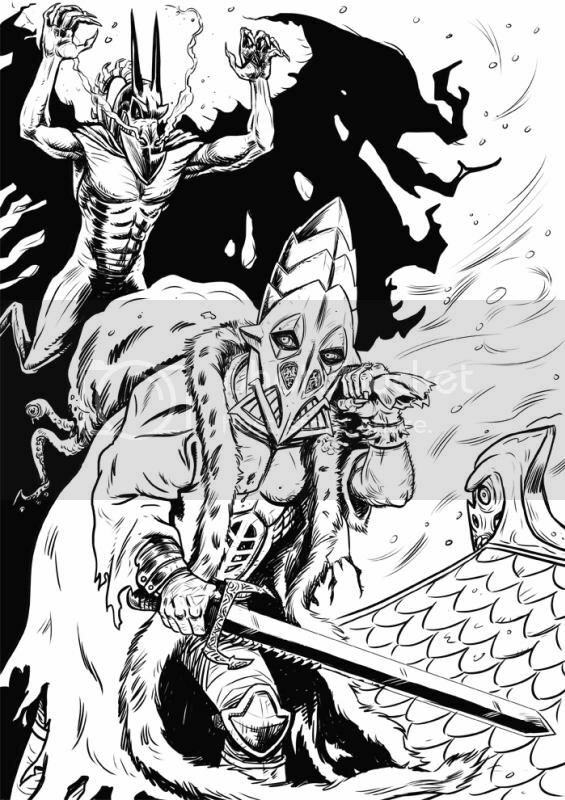 Thanks to Simon Bennett-Hayes (Last seen in Zarjaz 21’s ‘Mega-City Missing and currently working on a Middenface strip for Dogbreath) for the cracking Nemesis image above! See you soon for the first news of what is coming your way in 2015, and remember we ain’t called ZARJAZ For nothing! 1st look: The Sultans Painting. 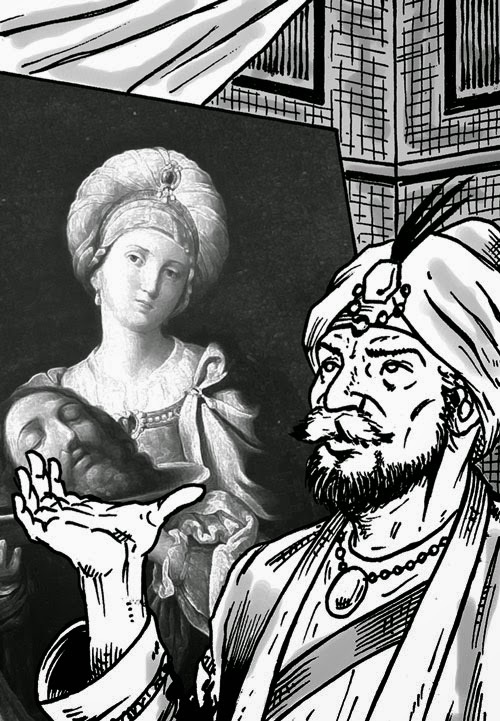 Coming to the pages of Something Wicked in 2015- The Sultans Painting is a tale by writer Phil Madden and artist Rui Mendes. First off, thanks to Starburst, for their review of Zarjaz 22. Written by Alister Davison. Both these podcasts can be found: HERE! Thanks to writer Lee Robson, and join us soon for more daily strip action.